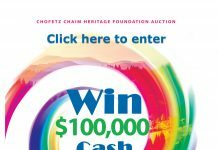 Mesivta of Waterbury, located in Durham, Connecticut, is in the process of renewing its school certificate with the State of Connecticut. 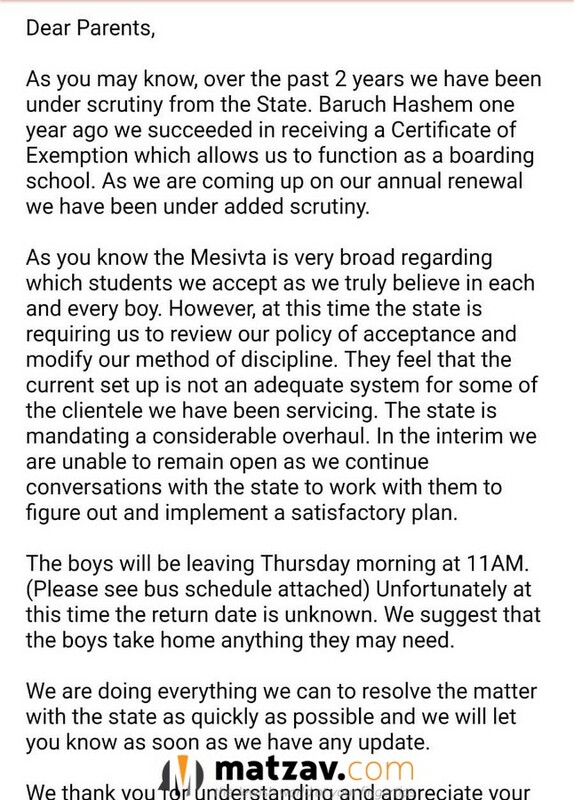 The yeshiva made a very difficult but responsible decision to send its students home while preparing for the renewal. During this time, the yeshiva will be working on facilitating the necessary upgrades to the school campus, boost its security and safety, and upgrade its school procedures and criteria. Next articleWatch: Will Mueller Be Satisfied With Written Answers From Trump? I have some firsthand knowledge of the terrific work the dedicated rabeim and hanhala do for their boys. This is terrible news. What can we possibly do to help the yeshiva reopen as quickly as possible? I agree. 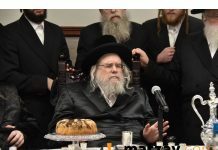 There is no yeshiva in the world like Mesivta Ateres Shmuel of Waterbury. The rabbeim are just the best! We need to do whatever we can to bring these boys back to Yeshiva. YOU can make the difference right here! Iyh they will open again soon!! We need to daven ! “Under scrutiny of the State … requiring us to review our policy and modify our method of discipline…” Huh?????????????? What in the world is this article about? Please Daven for these boys who are leaving in the middle of the zman that they should return to yeshiva, that they should come home to good homes and don’t experience any tension while at home… that they are all in healthy situations while at home and are busy with productive activities… and daven for the school, its rebbeim, and that all should go with with each member of klal yisroel.